Antonio Orozco lived up to his nickname, “Relentless”, Saturday night, handing Keandre Gibson his first career loss by fourth-round knockout in the main event on ESPN from The Cosmopolitan in Las Vegas. Orozco (26-0, 17 KOs), fighting for the first time in eight months, broke Gibson down with relentless body work, then dropped him with a hard right hand from which Gibson (16-1-1, 7 KOs) was unable to continue. 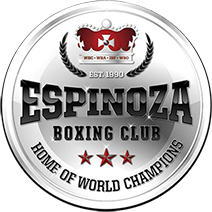 In the co-feature, Mercito Gesta (30-1-2, 16 KOs), returning to the ring for the first time in 18 months after surgery for a torn labrum, rose from a third-round knockdown and went on to defeat Gilberto Gonzalez (27-4, 22 KOs) of Mexico City by unanimous decision in an all-action 10-round lightweight affair. Gesta, a native of the Philippines now living in San Diego, outworked the dangerous Gonzalez, using his quick hands to put together plenty of combinations that kept Gonzalez at bay most of the fight. The judges scored it 99-91, 98-92, and 96-93, all for Gesta.